This is where I'm at with it right now..
That 10k POT in there has to go, it's just way too high a value to get the sensitivity down that low. A 5k POT for starters would be a much better starting point, then if need be it can be modified down to be more sensitive like I did with the 10k one. Right now I have to go to around 100 on it to get a full turn out of it, and that's as sensitive as I can get it with that 10k POT in there as ya can only fudge it so far before it's starts to either get screwy on ya or just doesn't work, and yeah it does need to be more sensitive than that, but changing the POT to a lower value is the only way to do that while staying in the hardware hacking realm. I'm off to hunt some catalogs for a good replacement. My I suggest a NON-LINEAR taper pot - these have fine motor control within the centroid area, but near the edges of the wipers (last 1/2 or 1/3 depending on what you order) it skyrockets. Would be ideal for your situation, so centroid is maintained with repeatable accuracy - but outer swing responds sharply in the function of a square. Would any of these work? some are actually namco. @ JABBERJAW - All of those POTs are HUGE by comparison to what's already in the neGcon, size wise that is. @ IH8YOU - That'll give it a big 'dead spot' in the center and without a precise Taper versus turn ratio it would be much worse as you'd have to turn it more and not less, so Linear is still the way to go here. We just have to change the 10k one in there out for a little lower value one as that 10k just isn't cutting it. Another thing that could be done here is to change the gearing ratio, but you'd have to fashion your own gears and then you'd run the risk of twisting the controller further than the POT could go and cause damage to one, the other or both. 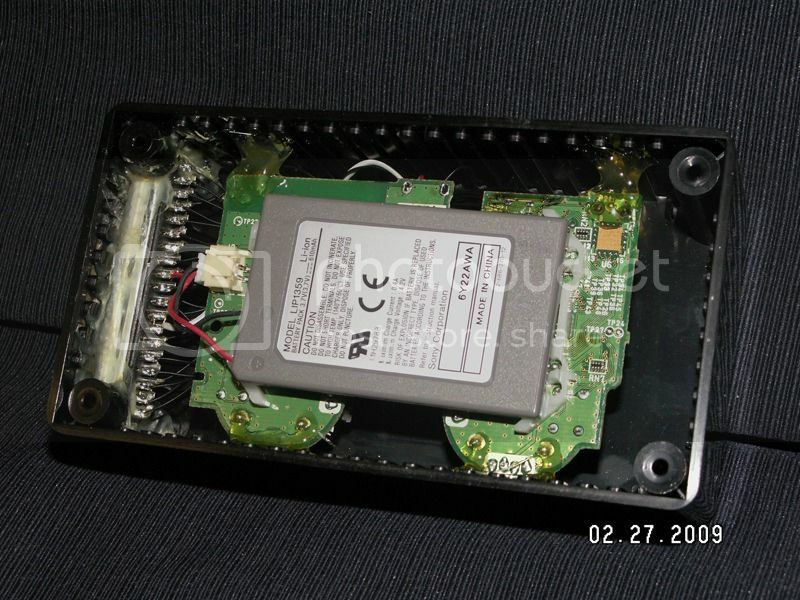 Every other POT in the neGcon is a Logarithmic, with all 10k taking place within a short distance from one end and is why they can be used on the PS3 controller and still maintain the Analog function. I may wire up the PS3 box so the I and II buttons can be switched between X/[ ] and L2/R2 for any games that would use the Triggers as gas/brake, but for now getting it 100% functional in WipEout is the main concern. The D-pad is now wired up, as are the rest of the buttons, the Pitching works fine, though the demo doesn't have a track to get enough air on to try a roll, but the left/right functions are there and work. The Right Airbrake is Digital while the Left Airbrake is Analog, that's how the neGcon is made, but it still works as most times when a Button/Trigger is pulled it's pulled all the way, so them being different really doesn't make much difference there, and with the controller constantly being twisted all over the place that makes it even harder to use the Analog one in that capacity anyway. I'll know in a week or so how the new 5k POT will work out on the Twist, much better than the 10k for sure as the modifications I did on the 10k in there now were promising, just not quite enough. I'll let ya guys know and post up a new vid of it then as well with the 5k in there. Last edited by RDC; 28th May 2009 at 10:15 PM. Here's a short WipEout vid to make up for the MotoGP one. Anyway, best of luck with it all and thanks for your effort. I would think the problem with a Negcon on this game would activating barrel rolls. 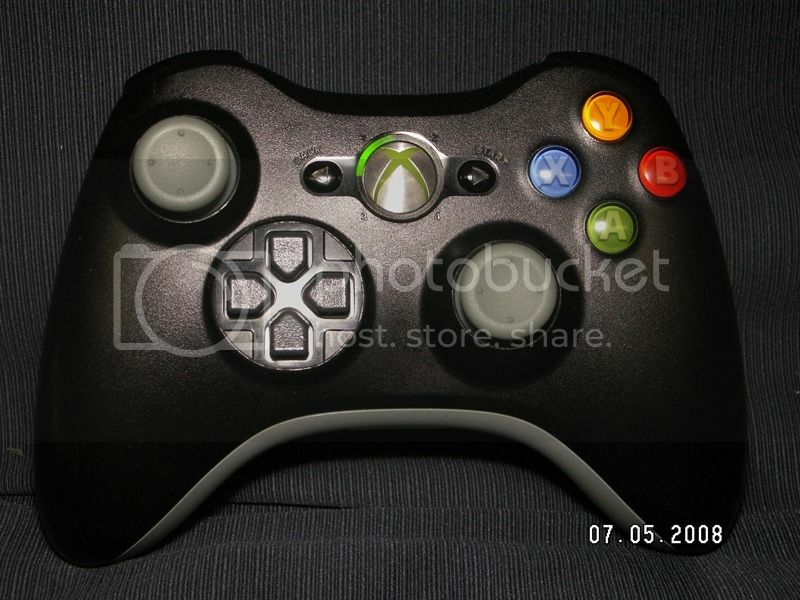 Is there any way that left/right on the dpad could be used for steering also, so could be used for BR input? I`m not sure if that`s a good idea. 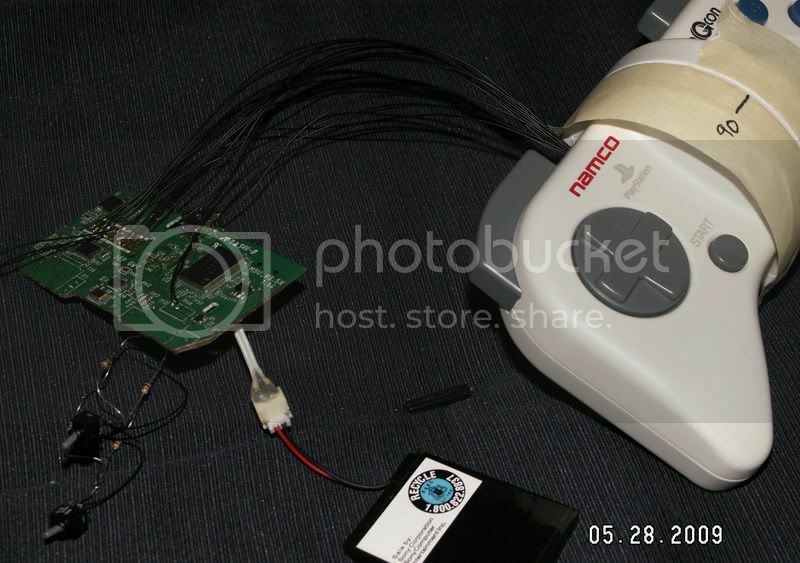 I can`t offer any technical help as I`m worse than useless with that sort of thing, but if I can help out by sending a tired old negcon for parts just let me know. The D-pad already does the same thing as the Left Stick on the PS3 controller, steering and pitch, so using it to barrel roll should work just fine. I hate dead-zones - the dead-zones on the PS analogue sticks is precisely why I don't use them. Having worked with other hardware that has next to ZERO dead-zone (all I can say is it's not civilian based hardware) - it's painful to use anything that has one now. My solution was to shunt down the centroid to minimize deadzone, yet retain the gain ratio needed. I also had changing the gear ratio inside the pot drives to also expand reaction. I found that without any software - the negcon must be twisted to the extremes for approximately 40% max-max in game rendering. 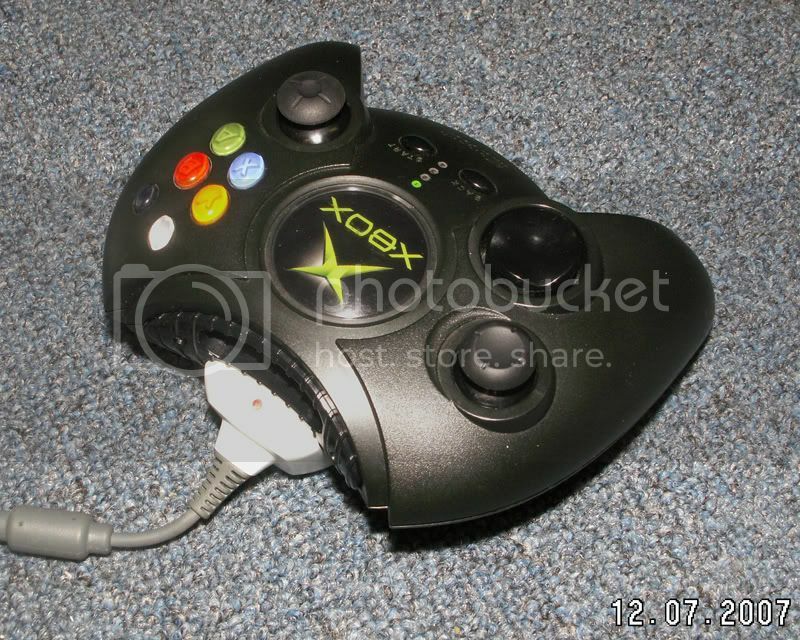 I know official in-game support would completely eliminate this - but having next to zero coding experience, and wanting to skip using any controllers / interfaces - I'm going with a physical modification to the neggie. Very interested in your route, too - so please keep up the bumping here. I'd be willing to help out on this, but it's been a dog's age since I did any sort of serious circuit-level electronics BS. 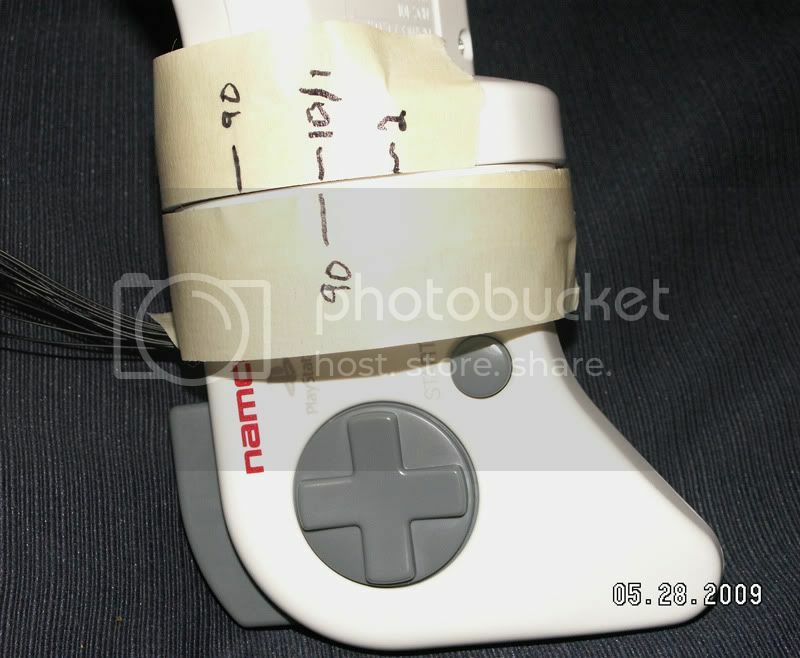 I don't see why people can't improvise something in which the axis of the NeGcon is mapped to the L/R axis on the left control stick, up and down are mapped to either max tilt of the U/D axis of the left control stick or just d-pad U/D; the POTs of L and R wired to the pressure-sensitive traces of L1/2 and R1/2, and the POTs of I and II wired to the traces of X and ... just figure out the resistance value of the conductive pads of the buttons on the ps2 controller and replace the I and II POTs in the NeGcon with ones of the same value as the pads. Uh, that has all already been done, the video there proves the concept of it and I've already wired up everything else to it. I'll post up a new vid of everything else working, can't now as it's half torn down to swap out the 10k Twist POT with a 5k (soon as it shows up) because the range there is way off. It's designed to turn almost a full 180 degrees and geared so the POT in there covers that range, so nothing happens when ya translate that to the Sticks X-Axis until ya hit the mid point or so of the Twist. It's like having a large wheel on a car versus a small wheel, if ya make 1 full rotation the car with the large wheel will have traveled much farther than the one with the small wheel, but each has only made 1 rotation. 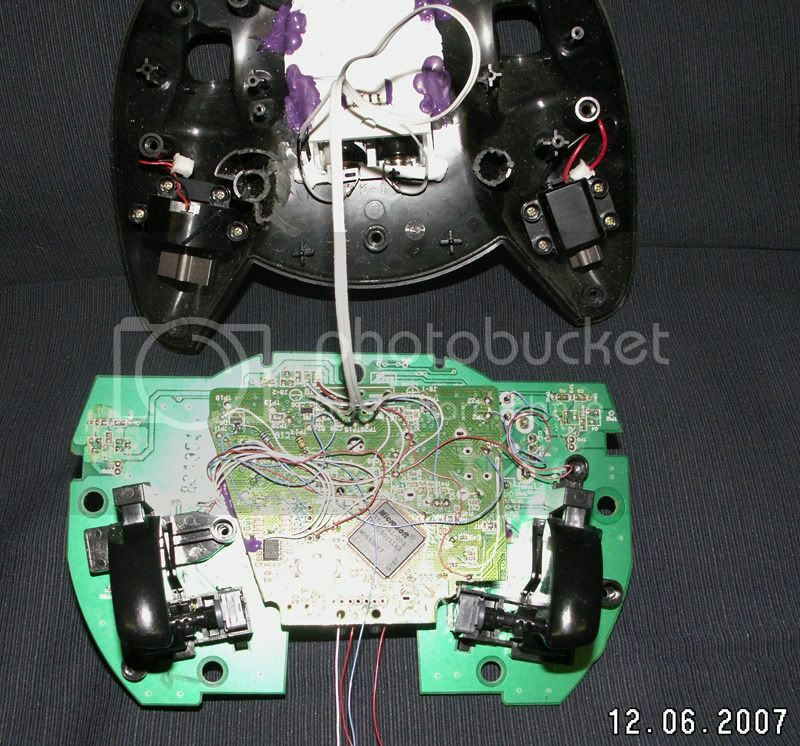 Likewise, the POTs used in the PS3 controllers versus the one in the neGcon have a different range as well, the PS3 controller stick only has to travel a short distance to cover that 10k range, where the neGcon POT has to turn almost 180 degrees to cover that same range, so we need a smaller wheel. The D-pad already works the same as the Left stick, so as soon as it's wired up it can do Pitch and BRs. 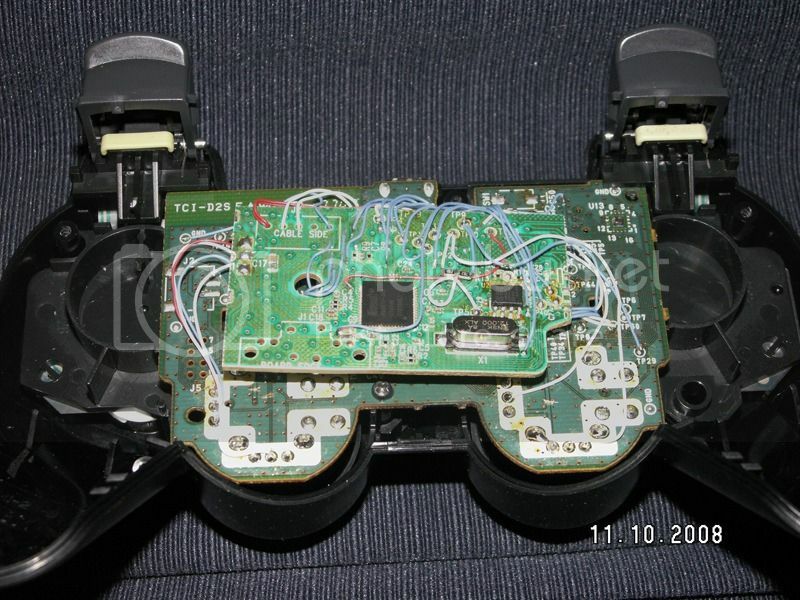 All of the buttons on the PS2/3 controllers are Analog (save the stick buttons, Select, Back and Analog/Home) and the I/II and L of the neGcon are as well (R is Digital, just on or off) so they can be (and have already) wired right up to the PS3 controller for use and still maintain that Analog. The traces on the PS2/3 controllers aren't pressure sensitive exactly, they're Resistors, and the more ya press on them the lower the value gets, so they work more like a 10k~20k Variable Resistor (depends on the controller) down to 300ohms or so when fully pressed, but any description works in place for them, Analog, Pressure Sensitive, POT or Variable Resistor, just as long as ya know what they do in there and how to mimic it if need be. The I, II and L button pots are Logarithmic POTs, kinda a pain to find them now and then to get one in the right size or a usable one would be more of a chore. The ones in there are 10k and that's what the PS3 controller buttons are as well, so it worked out, but even if the values were slightly off it still may have worked because of how they're used. They're basically just Pull-Ups, so they go from a high value to a low one when pressed, and everything in between, so anything around 10k should work fine, even on the PS2 controller where they're around 15~20k. I always though this was a pretty ignorant idea as ya have maybe 2mm of travel there, not much range to be very accurate, where the neGcon has close to 7mm of travel on the I and II buttons and around 5mm or so for L, which translates to being a whole lot more precise with the value ya can get out of the POT on there. Same with the 'Twist' of the neGcon, ya have a much larger 'bullseye' to hit compared to using a stick, so ya can be more precise with it, after getting over the learning curve of using it that is. 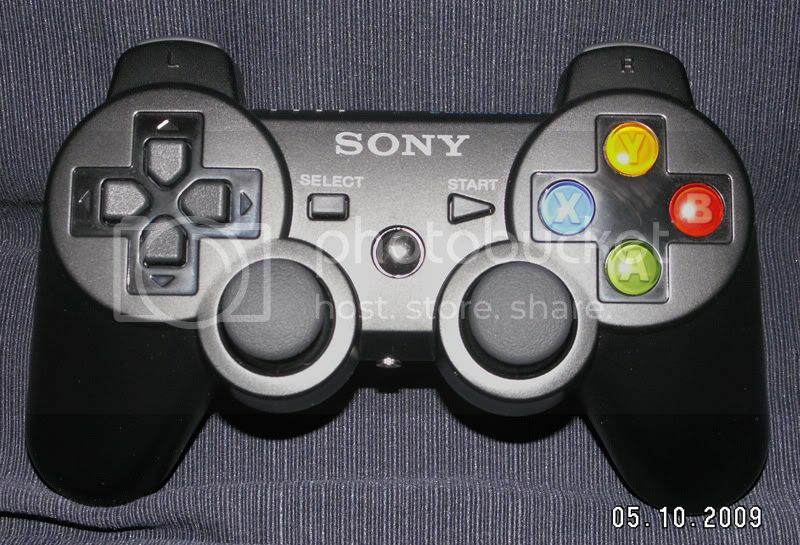 The PS3 controller, especially the latter versions, are a completely different animal from a PS2 controller also. 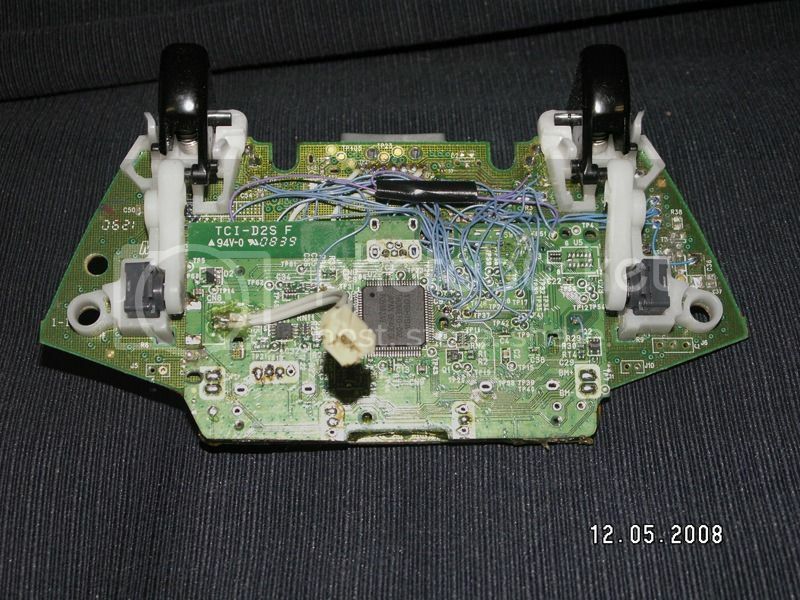 The 'Digital POTs' (uses Hall Effect sensors and Op-Amps instead of 10k potentiometers) are one thing, there are 3 separate common lines in the PS3 controllers. If the Daughter board is removed the controller will act up something awful, this is because it has 2 Pull-Up Resistors on it and they need to be put back in the circuit for the controller to function properly, and on the latter versions they've done away with the Daughter board connector and used carbon pads so that the connection is made only when the controller is together, so ya have to either leave it together or solder the Resistors to the board. 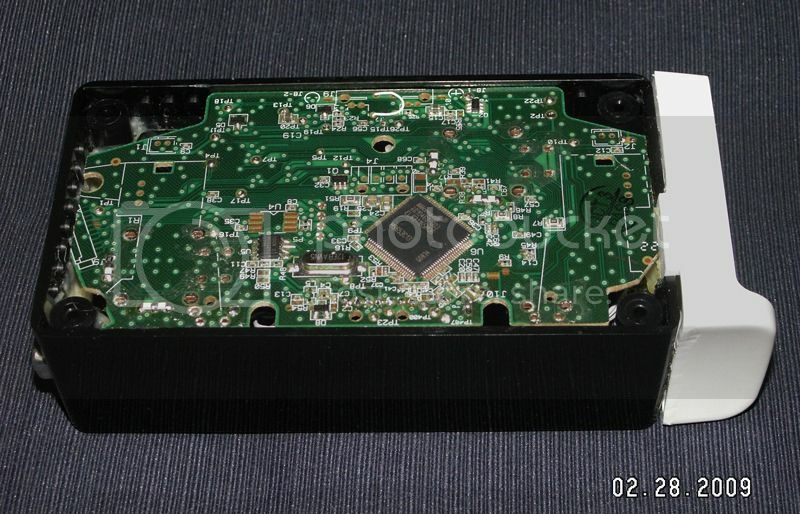 Also on the very latest version of DS3 they have done away with all of the TP spots, so there aren't any easy places at all to solder to on that puppy except 1, the Daughter board contacts. 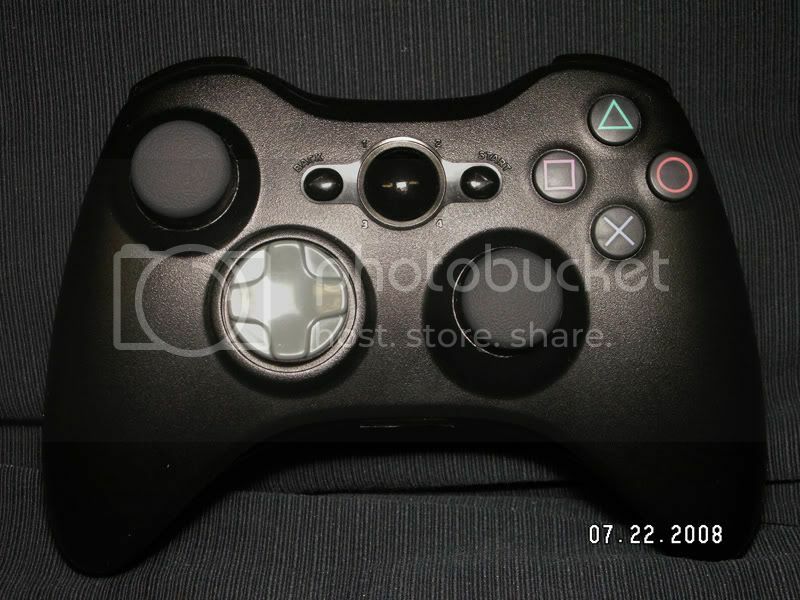 As soon as the XS forums are back up (I post over there as RDC as well) I'll post a link to all the PS3 controller versions and major differences between them that I've noticed, it should be of help for any of ya that are attempting this or anything like it with a PS3 controller. 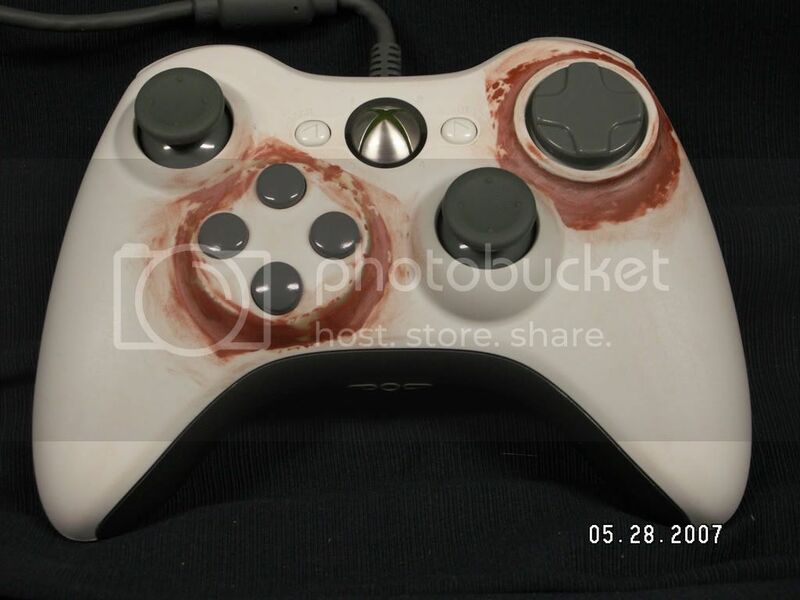 In case anyone is curious, I've done a lot of custom controller work already, most of it just to see if I could and that's the main reason I'm having a go at this one. 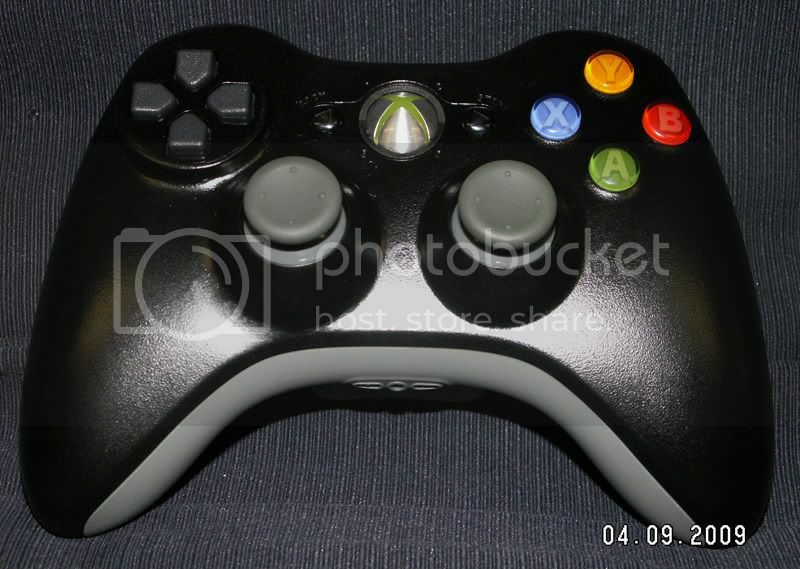 I've stuffed a DS3 (DualShock 3) into a 360 controller shell (on several occasions ) also put a Wireless 360 controller in an XBOX Duke shell, put a Wired 360 controller into an XBOX S-controller shell, put a Wired 360 controller into a PS3 controller shell, put a PS3 D-pad in the 360 shell, swapped the D-pad and Left stick on a 360 controller (so it's in a PS style layout) and swapped the ABXY and D-pad on another one for a more 'complete' SouthPaw controller, as well as made arcade stick boxes for both 360 and PS3 controllers, so I should make a good run on this one, just have to smooth out the bumps, or in this case get that close to 180 degree of max twist to play ball in a 75 to 90 degree range (hence the POT change) The more ideas, input and such the better though, as there's always another way to skin that cat and some are better than others. i like to say that i understand most of whats been said in this thread - but i'd be lying, however i am following the progress intently. ...there are some seriously enviable skill sets out there amongst you guys, well done with progress so far and many hearty thanks for making this project a reality.